Regarding the $1 billion in one-time funding for K-12 schools that Gov. Jerry Brown proposed last week in his 2017-18 budget: The word is don’t count on it – at least not next year. In what a school consultant is calling a “bait and switch,” the Department of Finance is saying that the money won’t be available until May 2019 at the earliest – and possibly only partially then. The department will release the funding after it’s sure that the revenue projections on which the budget is based came true. “While we recognize that there may be some who would prefer that these one-time funds be released sooner, given the recent and demonstrated volatility of revenues, we believe that postponing the release of these funds in the manner we have proposed is a prudent policy in light of this uncertainty,” department spokesman H.D. Palmer wrote in an email. Brown didn’t mention the delay in his May 11 press conference in which he released his revised state budget plan. He said that K-12 schools would get $2.8 billion more, a 5.4 percent increase to the current budget. But within hours, Department of Finance officials began telling district officials in meetings that more than a third of the new money – the one-time funding that districts could use however they want – would be withheld for nearly two years. The $1 billion would equal about $166 per student statewide. 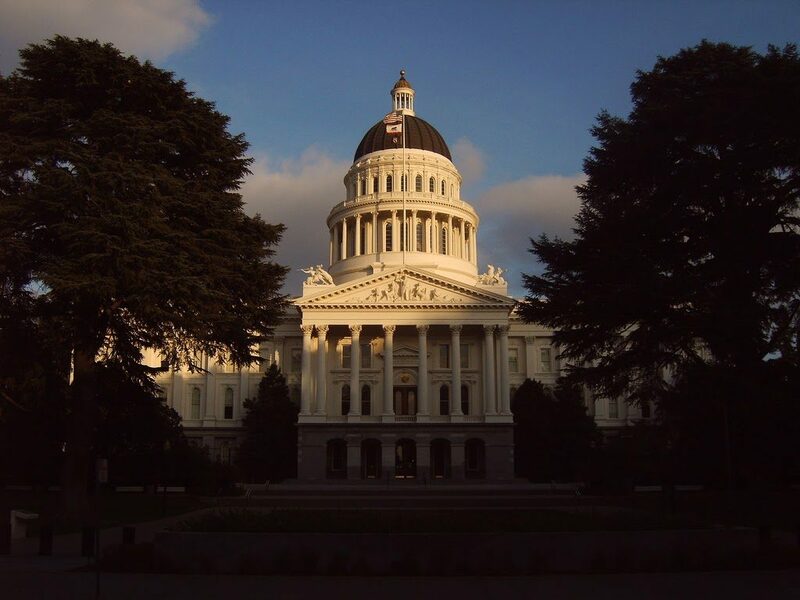 The $1.4 billion increase to the Local Control Funding Formula – the primary source of districts’ general spending – that Brown also has proposed would not be delayed, Palmer said. Brown’s budgeters predict that an economic recession, with a loss of state revenue, is right around the bend, and so are being extra cautious. They also want to avoid repeating what has occurred the past three years, in which actual revenues came in below the forecasts on which the budgets were based. Rather than lower next year’s budget to meet the minimum funding, Brown’s K-12 budget would be $600 million above minimum and set a new level for Prop. 98, the formula for allocating money to K-12 schools. Meyers said that the Department of Finance can assert that districts can use their reserves next year to cover the $1 billion while they wait to be paid in 2019. But if Prop. 98 revenue falls short next year, districts may not get all – or any – of the amount, he said. As a result, School Services of California, a consultant that works with districts, is telling district officials not to build the money into next year’s budget. “Don’t book it” is its advice. Kevin Gordon, who called the tactic “bait and switch,” said it is “not fair to announce one-time money that may never show up.” Gordon, the president of Capitol Advisors Group, also a lobbying and consulting firm for districts and county offices of education, said that denying money that’s budgeted for next year, “only exacerbates misunderstandings and clouds numbers” at a time that districts are facing very difficult pay and benefits negotiations with teachers and staff. And parents working on a district’s Local Control and Accountability Plan, setting priorities for next year, won’t understand they can’t use the $1 billion, Meyers added. Brown did get support for his proposal from the Legislative Analyst’s Office in its analysis of the education proposals in the revised state budget. Noting that the increase for Prop. 98 next year is nearly equal to the increase in state revenue, sequestering some of the increase is “reasonable,” it said. “The administration’s contingency proposal is one way the state can provide a cushion in the event of an economic slowdown or downturn, allowing the state to adjust reserved school funding without making reductions to the Local Control Funding Formula or other ongoing school programs,” the legislative analyst wrote. Reserving a small portion of Prop. 98 funding is preferable to making retroactive cuts, it report said. Bob Blattner, another Sacramento-based consultant who advises school districts, agreed with the legislative analyst. He said that districts have asked Brown to make the Local Control Funding Formula a funding priority over one-time funding, and that’s what he did in the revised budget. Districts “should be grateful for the Brown Administration for its creative (though not necessarily easy to understand) solution for providing for schools what they were asking for, within the constraints of state budget realities,” he wrote in a memo. Another budget proposal is also irritating education advocates. One of the “tests” for determining the level of Prop. 98 funding in years with slow revenue growth guarantees that K-12 schools and community colleges get at least get the same percentage increase in funding provided to other areas of the budget. Test 3B, as the provision is called, has provided a supplementary funding six times since it was adopted in 1990. Brown is proposing that legislators suspend the 3B supplement for three years, starting in 2018-19. The Brown administration estimates districts could lose $850 million combined over three years – money that could be used to protect non-education areas, perhaps shoring up Medi-Cal, which could see big cuts under President Donald Trump’s health care plan. Meyers said that the school boards association will press lawmakers to reject the idea. Suspending funding under Prop. 98 requires a two-thirds majority of the Legislature, since it was a constitutional amendment. That has happened only twice. But this supplementary payment feature is a statute, requiring only a majority vote to suspend it. That makes it all the more likely that Brown will get his way. It’s frustrating that “Sacramento” seems to view Prop 98 funding minimums as funding maximums – and even wants to deny the supplemental payments that would accrue under Test 3. Maybe everyone up there has forgotten that with increasing pension payments (and general cost increases such as Step & Column pay increases, healthcare, utilities, etc. ), even maintaining the status quo for districts will be nearly impossible in a few years. It doesn’t help that the LAO creates reports for Sacramento that give an incomplete picture of the impending funding crisis for school districts. For example, a recent report on LCFF and pension costs includes a chart (pg 2) of what appears to be total education spending starting at the depths of the recession (2011-12) to projected 2017-18, which makes it look like education spending is at some all-time high rather than how it compared to the pre-recession levels in 2007-08 (adjusted for inflation). This chart also doesn’t differentiate the base grant funds vs. supplemental and concentration grant funds, although the latter two are supposed to be used as supplemental funding for the disadvantaged students and are not distributed uniformly across the state. The same LAO report also contains a chart (pg 7) that compares the increase in total LCFF funding to the increase in pension costs from 2014-15 to 2017-18 (projected). However, the report does not show the critical information about how much funding remains before LCFF is considered fully-implemented versus how much more pension payments will cost (especially in 2020-21 and beyond). A naive legislator seeing this report might conclude that school districts have been given more than enough money to meet their costs. Does the Department of Finance really believe districts have slush-funds of reserves that they can tap into to cover the delayed $1 billion payment promised in the May Revise but potentially delayed to 2019 (if ever), as contended by Dennis Meyers? Do they not remember the mandate the Governor wrote into Proposition 2 that requires school districts to spend-down their reserves? Don’t put it into across the broad salary increases, because it’s hard to reduce later. Put it into tutoring, so we can analyze the results and if we have to cut it we go back to square one. Salaries go up and if they go down it’s a political football. We have to put the kids first. Many schools have no flexibility in their budget. If you put it in salaries it will ossify things. We need to think outside the box on this and be creative and not do what we did last time. We must be cautious. Brown is right. If we leave salaries as is while we make some changes, there’s chance for flexibility, but if we raise them by 5 percent, then if we have to cut them 5 percent later, it will be treated as oppressive and evil in the news. Floyd, salary decisions are local.